PT Rajawali Nusantara Indonesia (Persero) - RNI or referred to as "RNI Group" is a reputable state-owned investment holding company in Indonesia, headquartered in Jakarta and is fully-owned by the Government of Indonesia. RNI Group has main business focus on agro-industry, pharmaceutical and medical devices, trading and distribution, and property. RNI Group's head office is registered at Gedung RNI, Jl Denpasar Raya Kav D III, Kuningan Jakarta 12950. As of December 2015, RNI Group has 13 subsidiaries; PT PG Rajawali I, PT PG Rajawali II, PT PG Candi Baru, PTP Mitra Ogan, PT Laras Astra Kartika, PT Mitra Kerinci, PT Madubaru, PT Pharpros Tbk, PT Mitra Rajawali Banjaran, PT Rajawali Nusindo, PT Rajawali Citramass, PT Rajawali Tanjungsari Enjiniring, and PT GIEB Indonesia. In term of financial performance, RNI Group succeeded in posting overall improvement in its performance in 2015. RNI Group registered a 13.31% growth in total sales value of Rp 5.63 trillion, according to PT Rajawali Nusantara Indonesia (Persero) Annual Report 2015 as cited by JobsCDC.com. 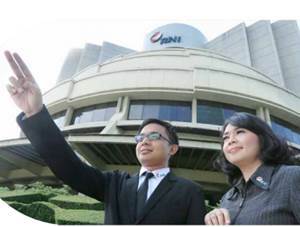 RNI Group's total sales value in 2014 amounted to Rp 4.97 trillion. RNI Group booked total net profit of Rp 69 billion in 2015 as compared with loss Rp 330.53 billion in 2014. Bidang Mesin : Mechanical Engineering. Bidang Elektro : Electrical Engineering. Bidang Kimia : Chemical Engineering. Bidang Teknik Pertanian : Agricultural Technology (Agricultural Engineering). Bidang SDM : Psychology / Management / Law. PTN: minimum GPA of 2.85. PTS: minimum GPA of 3.00. Male (Bidang Pertanian, Bidang Teknik Pertanian, Bidang Mesin, Bidang Elektro, and Bidang Kimia). Male/Female (Bidang Akuntansi, Bidang SDM, Bidang, Bidang Hukum, and Bidang Teknologi Informasi). Not married and willing not to be marry in Management trainee program (MTP). Maximum age of 28 years old on 25 March 2017. Have a valid National Identity Card (KTP). Willing to be placed throughout the working area RNI. Have a high integrity and initiative. Not going through a bond / bond required to work with a company / institution anywhere. Never and / or not in litigation or involved in legal proceedings. JobsCDC.com now available on android device. Download now on Google Play here. Please be aware of recruitment fraud. The entire stage of this selection process is free of charge. PT Rajawali Nusantara Indonesia (Persero) - Management Trainee Program RNI March 2017 will never ask for fees or upfront payments for any purposes during the recruitment process such as transportation and accommodation.